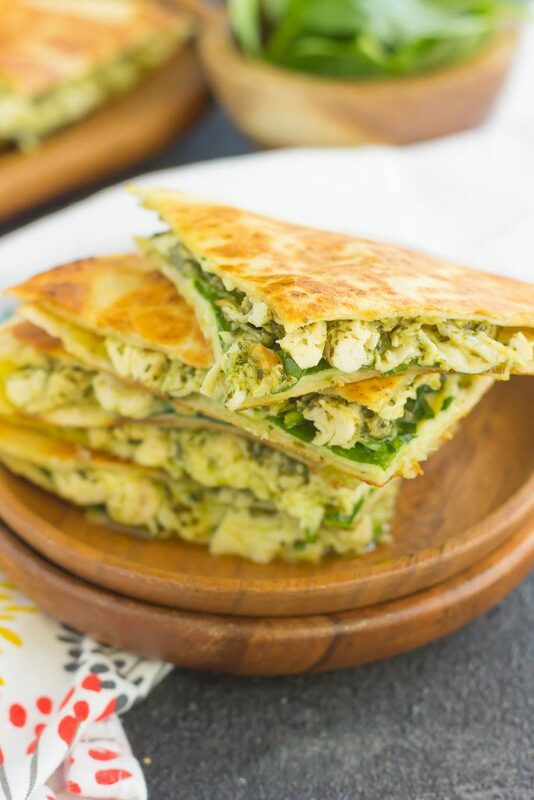 These Chicken and Spinach Pesto Quesadillas are simple to make and ready in less than 20 minutes. Filled with shredded chicken, pesto, baby spinach, and mozzarella cheese, this easy dish is packed with flavor and perfect for busy weeknights! Do you ever get a craving for something that you just have to have? Even if it’s not all that good? Take my quesadilla cravings, for example. I mentioned a while back that I used to crave steak quesadillas from Taco Bell. Not all the time, but every once in a while. Ewwww…right? See, I know it’s not real steak in there (I don’t even want to know what is really is), but for some reason, I just loved the taste of it! Luckily, my taste buds have wised up and I can’t even remember the last time I had Taco Bell. But, I still get those quesadilla cravings. And when I don’t feel like heading out to my favorite Mexican restaurant, I pop in my kitchen and whip up the homemade kind. And since you all love quesadillas (this barbecue chicken version and that breakfast version are two of my most popular recipes to date), I figured it was time to showcase my latest creation. 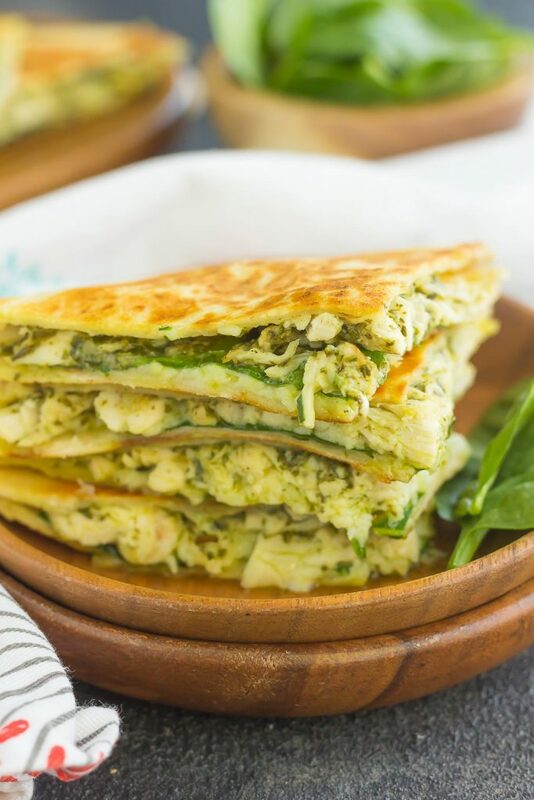 These Chicken and Spinach Pesto Quesadillas are so easy to make, so delicious, and filled with simple ingredients. And even better, it’s perfect for 30 Minute Thursday! Get excited, because I know I am! 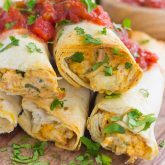 To make these quesadillas super simple, I used the shredded rotisserie chicken that you can find near the deli section of your grocery store. It saves a lot of time and is perfect for quick dishes like this. In fact, I use the pre-shredded chicken in a lot of my recipes (see here, here, and here). It’s one of my go-to hacks for make easy, yet delicious meals. Now, let’s talk about those flavors! Spinach, pesto, cheese, chicken….can you get any better? 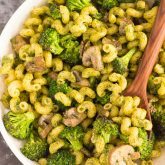 It’s one of my favorite sandwich and pasta combinations, so it seemed like a no-brainer to add this to crispy tortillas. 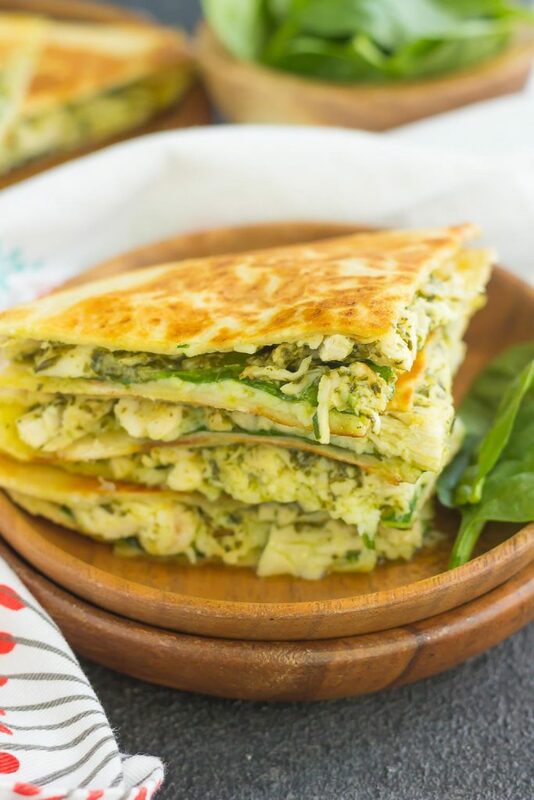 So, if you’re on the hunt for your next easy dinner (or lunch) idea, then you’ll love the fresh taste of these Chicken and Spinach Pesto Quesadillas! 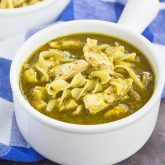 In a medium bowl, combine the shredded chicken and pesto sauce. Toss to coat. Set aside. Place two tortilla shells onto a flat surface. Spread half of chicken mixture onto each tortilla, leaving about 1/4 inch of space around the edges. Top each tortilla with mozzarella cheese and spinach. Take the remaining tortilla shells and place each one on top of the chicken mixture, forming two quesadillas. In a medium skillet, melt butter over medium heat. Gently place one quesadillas into skillet. Brown evenly on each side for 3-4 minutes, or until golden. Repeat with second tortilla. Slice and serve with extra pesto sauce for dipping, if desired. Those quesadillas look so delicious, Gayle! I'm loving the pesto in there. I love quesadillas! I haven't made them at home in so long (another forgotten food item - stupid blogger brain!). And rotisserie chickens from the grocery store are my favorite shortcut ever for getting dinner on the table fast! Can't wait to try these! Aren't quesadillas the best?! Thanks for the sweet comment, Liz! Totally know what you mean - sometimes you get a real craving for something and it needs to be in front of you, like, asap! I do LOVE quesadillas and this combo sounds delicious! Can't beat those rotisserie chickens - they certainly help to get dinner together in a flash :) Pinned! Have a great weekend! Thanks for the quesadilla love, Dawn! I love your 30 Minute Thursdays! This would totally hit the spot for lunch, today!! Love it! I do get quesadilla cravings all the time! These look so good! 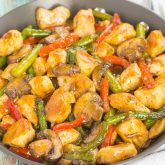 The perfect combination of flavorfors and so easy to make! Pinning! I love me some quesadillas! And even better with pesto! Hope you had a great holiday weekend Gayle! 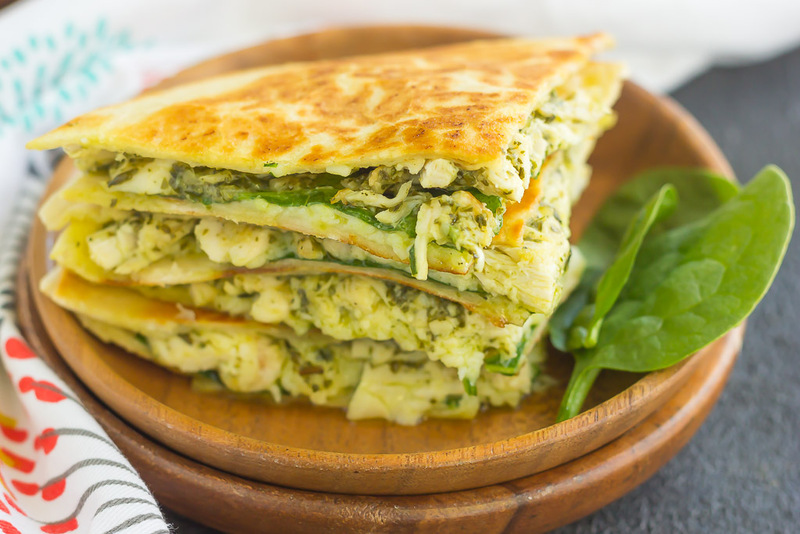 I think you know how I feel about these quesadillas because I can't get enough pesto into my diet! I love how much spinach you piled onto these too so it's like a salad and a quesadilla. :) Great job on the video and I wish these were my dinner! Thanks, Marcie! It is almost like a salad, and yay for pesto! Well, holy freaking moly does this recipe look amazing. My hubbers LOVES quesadillas. I can't wait to surprise him and make this!!! After one bite he'll probably ask me to marry him again! I love quesadillas too, but have never tried spinach in them - definitely need to do that, these look terrific!